Application on Windows Tablet that allows a network of Bluetooth enabled Stethoscopes to listen to each other’s sound output. Specify Windows tablet for ease of development and upgrading. 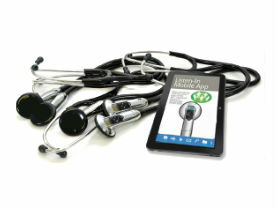 Develop and Test Windows application to be able to connect 7 Bluetooth stethoscopes and control which one is the presenter.